Steven Spielberg checks every box of what viewers expect from a Spielberg film in "Ready Player One." The bad guy is really bad. The good guys are a a bunch of lovable kids. Music cues remind the viewer how to feel. "Ready Player One" has lots of energy and overly cute moments. The plot? It's the future, and everybody's poor except for a few mega-rich villains. The population has gotten hooked on a virtual reality system called "Oasis." The Oasis founder dies, and leaves three clues to find an Easter egg that will deliver control of the company and fabulous riches to the winner. 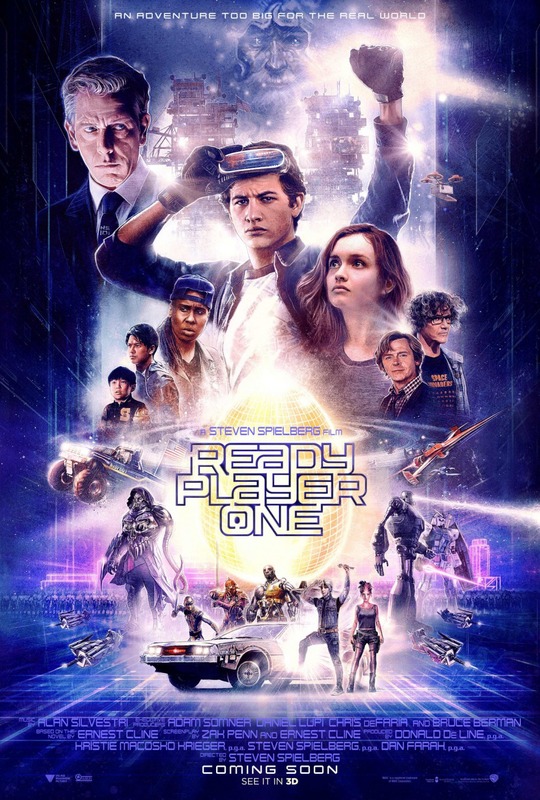 Tye Sheridan plays Parzival, the online identity of a poor kid obsessed with Oasis founder James Halliday (played by the excellent Mark Rylance.) Parzival teams up with Art3mis, played by up-and-coming actress Olivia Cooke. The cute couple get additional help from a gang of little rascals. The quest feels like a cross between "The Da Vinci Code" and "Willie Wonka." Most of the movie takes place in the digital world. "Ready Player One" combines drab reality with virtual excitement. A middle segment places the gang into a scene from "The Shining," and serves as a high point of the movie. "Ready Player One" is about as commercial as a movie gets these days. It's easy to watch, and is aimed at teens, with a few lines thrown in for adults. This is an old guy's view of today's kids world. "Ready Player One," rated PG, 2½ stars. Does it deliver what it promises? Old style Spielberg comedy adventure. Is it entertaining? Easy to watch. Is it worth the price of admission? Nothing new here.